Find out what’s inside your body and how it all works in this fascinating book, full of bright pictures and facts that grown-ups and children can talk about together. 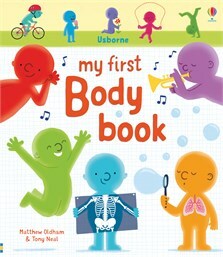 A delightful introduction to muscles and how we move, our brain and senses, eating, growing up and more. Includes links to carefully selected websites with videos and activities.